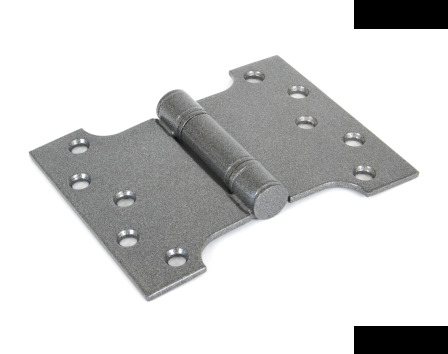 Satin Stainless Steel ball bearing parliament hinge with pewter finish. Will project a door away from the frame by 3" when open, clears architraves, window boards etc. The smooth action of the ball bearings will go on for years (grade 13).